Dedicated in 2009, McCrory Hall for the Performing Arts was made possible through the generosity of Martha McCrory, longtime director of the Sewanee Summer Music Center at the University of the South, and the many donors who joined Ms. McCrory in wanting to provide St. Andrew’s-Sewanee and the surrounding community with an outstanding space for musical performance. An arts venue for the region as well as an auditorium for the school, professional musicians and student artists share the same stage. The building also provides space for the school's music classes, rehearsals, private lessons, theatre, technical theatre, and filmmaking programs. 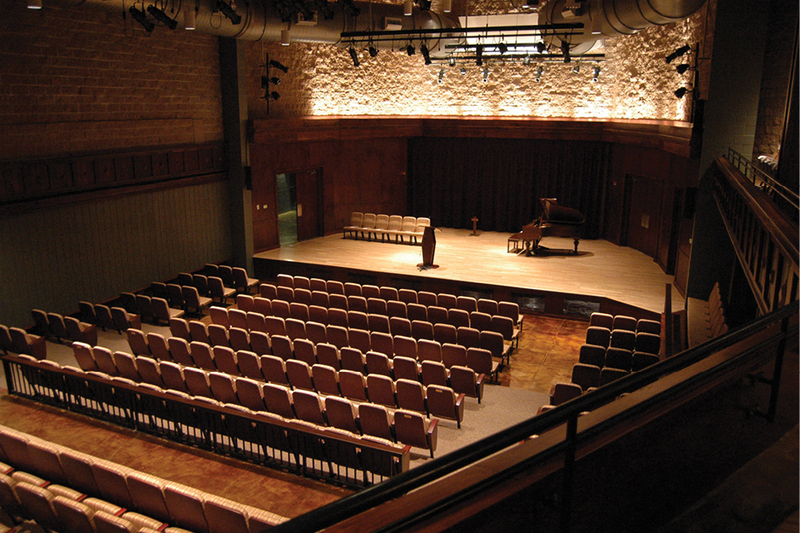 Throughout the year, McCrory Hall for the Performing Arts also plays host to a variety of professional performances. This has included Amanda Shires, the Vega Quartet, the Blakemore Trio, Jack Pearson, Act of Congress, Emma King and the Heart Sets, the Tennessee Fiddle Ensemble, the MTSU Guitar Quartet, the Anima Baroque Ensemble, and more.